Mountain House's Freeze-Dried Beef gives you all the deliciousness of standard beef, without having to cook it. How? Because it's precooked and then freeze dried, the beef retains all the flavor and nutritional value of the beef you typically enjoy at home. What's the catch? There is none. Their delicious freeze-dried beef is ready to enjoy when you are. Just add hot water, and you can use it in any recipe requiring cooked beef for a delicious, protein-packed meal. 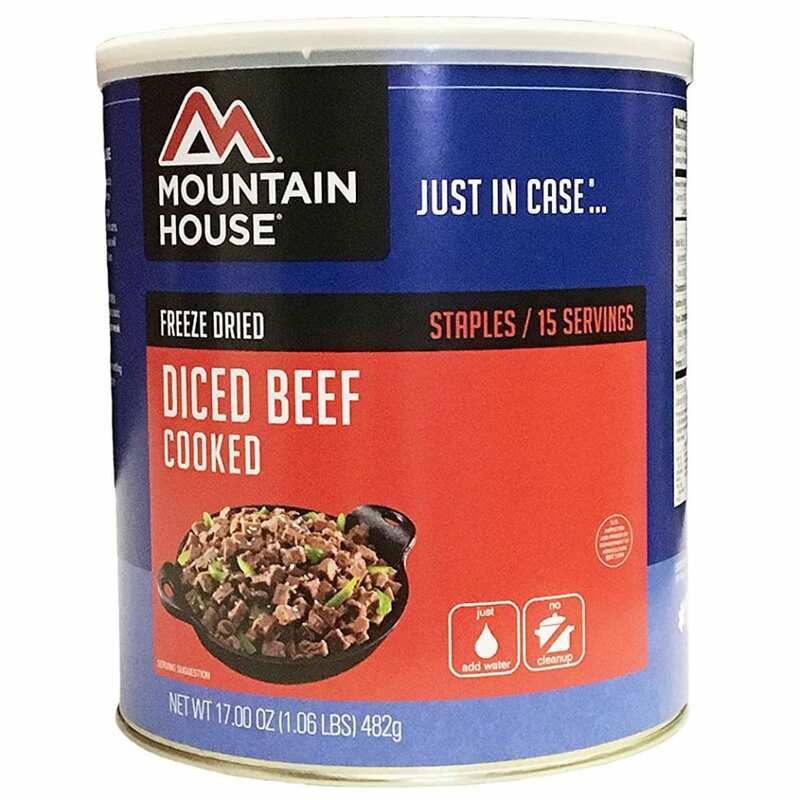 Backed by a 30-Year Taste Guarantee, Mountain House’s freeze-dried beef will taste great when you need it most. The #10 Can of Freeze-Dried Beef makes a great addition to your long-term food supply or emergency preparedness stash. With a whopping 15 servings of meat in each can, you'll have enough food to go around the table no matter what.